Used regularly, the DeLonghi EcoDecalk machine descaler liquid significantly reduces the likelihood of premature breakdown from scale build-up, increases energy efficiency and improves the flavor and crema. 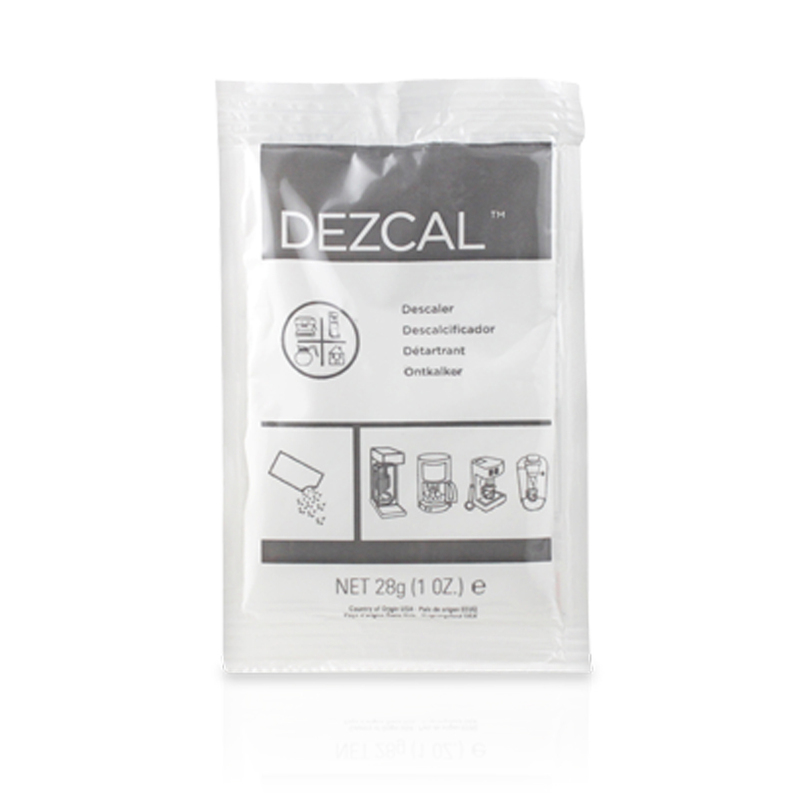 This ecological descaler is made with 100% lactic acid and is suitable for all espresso/coffee machines. The liquid is quick and easy to use and will keep your machine running smoothly so you can always enjoy your favorite beverage. 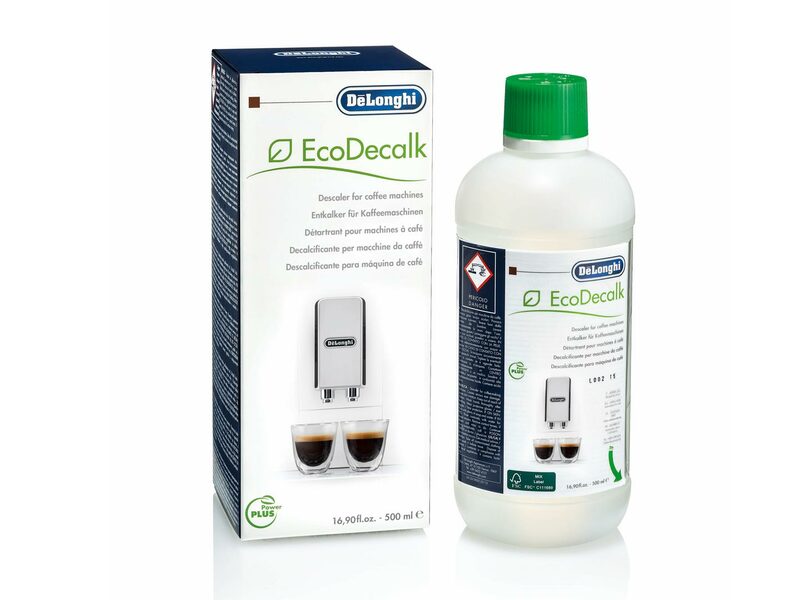 DeLonghi EcoDecalk is a lactic acid based, biodegradable and safe descaler that breaks down lime scale and calcium deposits. DeLonghi EcoDecalk is safe and easy to use – it’s as simple as brewing a cup of coffee. DeLonghi EcoDecalk is a safe option for removing lime scale build-up in your machine. DeLonghi EcoDecalk can be used on home coffee brewers, espresso machines (traditional and automatic), kettles, pod and capsule machines. Mix product at a 1:10 descaler to water ratio for best results. One 500ml bottle is good for approximately 4-descalings of your DeLonghi super-automatic espresso machine. Why should I use DeLonghi EcoDecalk? When limescale in your hot water tank builds up, it can clog water flow and affect brew temperature, leading to beverage inconsistency. DeLonghi EcoDecalk is designed to break down limescale and mineral build-up inside your machine to ensure great, consistent coffee. How does vinegar compare to using DeLonghi EcoDecalk? Vinegar is a weak acid that does not effectively break down limescale build-up in comparison to DeLonghi EcoDecalk. 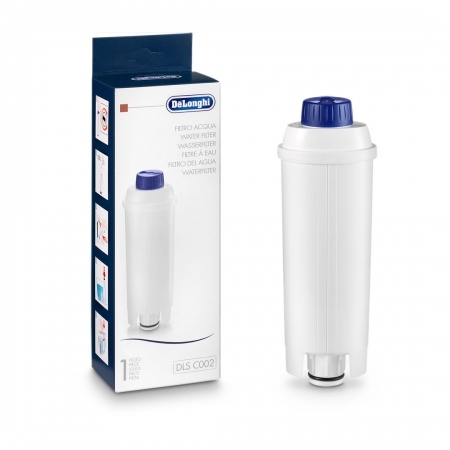 DeLonghi EcoDecalk breaks down even the toughest limescale and mineral deposit build-up without the excessive rinsing needed when using vinegar. Vinegar is not recommended by espresso machine manufacturers as it will damage the internal components. DeLonghi Ecodecalk is an acid based product designed to breakdown the build-up of mineral deposits inside of your coffee machine. Much like any automatic dishwashing detergent, countertop cleaner, or other kitchen cleaner, this product is not intended to be consumed. It is a chemical designed to perform a function and when used according to directions and rinsed properly there is no risk of consumption of the product.